Streamline your customer experience with scalable real-time chat from Acquire. Acquire is the fastest, most effective way to interact with customers across web and mobile. Reach customers at the right moment along their purchasing journey. Resolve issues quickly by giving customers instant access to your support team. Guide new customers through your product to ease pain and drive adoption. What’s in it for my team? 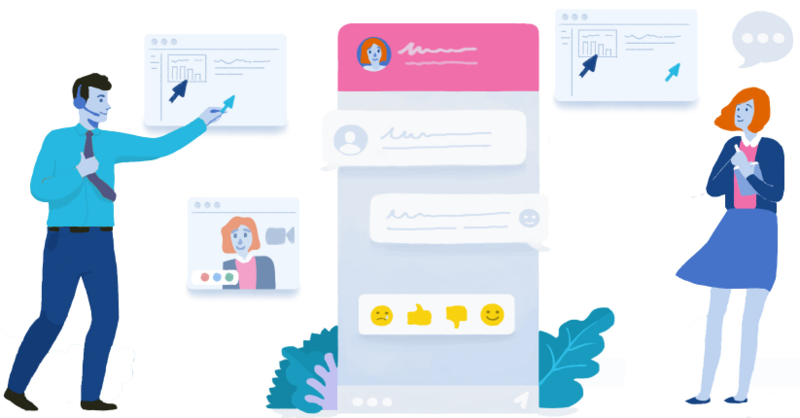 Send one-to-one or group-based messages. Target them based on customer behavior and your goals. Need to reach more customers in less time? Acquire’s customized module allows you to make widgets according to your brand and theme. Acquire is the first all-in-one communication platform for businesses across the board. We help you create, manage and automate targeted conversations with customers, gather crucial data and deliver impactful results.